Last night was the peak for the Perseid meteor shower, and my wife and I went outside to watch. I took some photos, but didn't manage to catch any of the shooting stars. This shot shows a tree in our garden 'painted-with-light' - that is, I used a torch to light it up while on a long exposure. 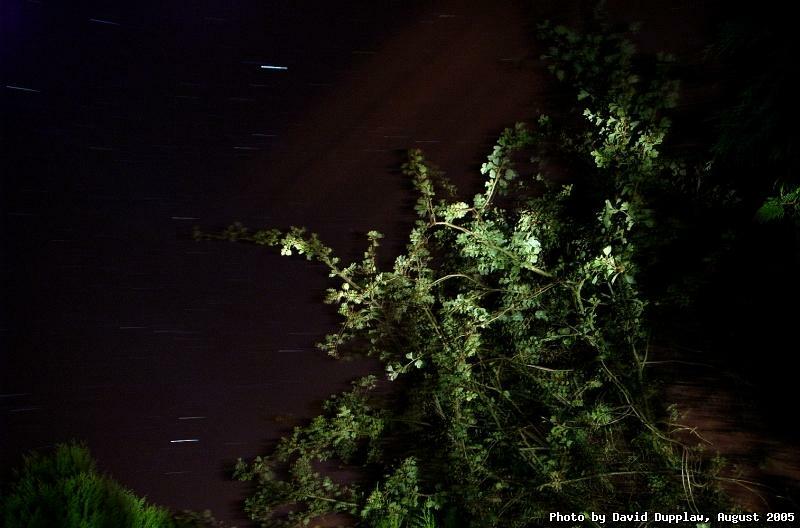 You can see the star trails caused by the Earth rotation on this 30 second exposure. The tree seems a little blurred due to the wind.